For those shopping for a luxury SUV in Austin, the 2019 Acura RDX is an excellent choice. With the RDX, you’ll have plenty of cargo space, excellent features, and great fuel efficiency. Browse our available RDX models below! Why Buy an Acura RDX? Ready to step inside the Acura RDX for yourself? 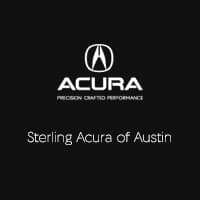 Contact us to schedule an appointment, or stop by Sterling Acura of Austin today, your Kyle-area Acura dealership.